What is strong? According to Merriam-Webster, strong is not mild or weak. But what exactly does that mean? To determine if someone or something is strong you need to look at it in context and compare it to other things that are similar. 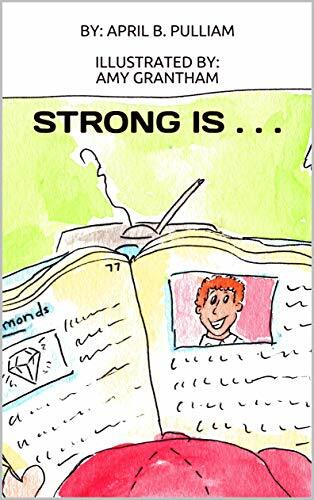 Strong Is… by April Pulliam and illustrated by Amy Grantham looks at the situation through the eyes of a child. The child is relaying all the ways they have heard the word strong used to describe people and things. Each situation gives a new view on what makes something strong or not. As you go through the book you encounter funny images like a stinky dog or a hungry lion, but then it starts to focus more on people and the images become more serious; a hospital, a distraught mother. It all leads up to the end with a picture of a small child. While the book never says cancer in the story line, it is implied with the imagery and by reading up on the author’s page at the end. This is a challenging subject and this book is a great way to introduce a young child to what might be going on. Learning that it’s okay and even when you’re little you can be strong in your own way. I think this is a great book for siblings or even a child that may be going through this to read and gain some confidence. It’s an emotional topic that is handled with dignity and simplified for young readers. I recommend this book to anyone that knows someone going through an illness and trying to explain it to a young child. Jonathan Hatendi weaves a tale of abduction, terror, and young lives forever changed. The most frightening aspect of Hatendi’s writing lies buried deep in the fact that his words are true and lay before the reader the events of his own life prior to Zimbabwe’s successful acquisition of independence in 1980. As a civilian surrounded by guerillas and day-to-day routines fraught with danger and the ever-present element of the fear of the unknown, Hatendi survived to tell a tale like no other. The fact that Hatendi is here today to share his story is a testament to his strength and the determination of the people of his country. 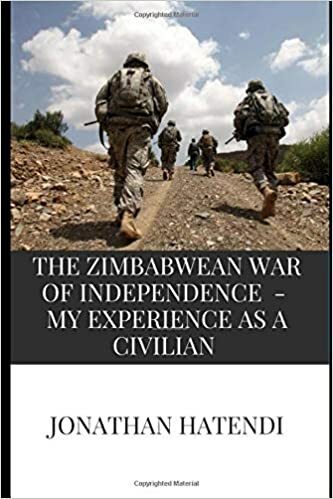 Hatendi’s account of his life during secondary school and the torment he endured is titled The Zimbabwean War of Independence. Hatendi jumps right into the striking events and leaves the reader no time to breathe. While trying to process the fear and overwhelming barrage of emotions he and the other young people may have felt on the night of their abduction, I was left wondering how he and his classmates were able to psychologically survive in the months and years that followed. The author’s style of writing and plainspoken manner translates well into text and helps readers visualize the blatant abuse and the true horrors of the times. The abduction itself is, by far, not the only striking aspect of Hatendi’s story. He relates several events prior to his abduction and following his return. Hatendi writes openly of the way children were forced to witness death and destruction and describes both the realization for the need of counseling and psychological help and the lack thereof. He shares the atrocities page by page as they relate to the young men and women forced to endure lives of fear always questioning their next move. Hatendi provides little in the way of dialogue as his book is written in first person and reads similarly to a journal account citing events and detailing remembrances of his journey to adulthood. The manner in which Hatendi records his memories is unique and provides readers, as much as is possible, with a relatable account of his experiences. I was, at times, shocked at how easily he seemed to be able to express some of the most horrifying scenes in such basic terms. Hatendi has given the world a unique and private account of a life lived under duress and a life survived despite insurmountable obstacles. To have made it through a war for independence as a child and be willing to share the story of that fight with the world is admirable and, quite frankly, nothing short of amazing. Hatendi is to be commended for the unique eloquence of his writing and his willingness to share with the world his life as one of Zimbabwe’s survivors. This right here is an accurate summary of the purpose of this book. The kind of adults children grow into is entirely dependent on how they are brought upon. According to Arnold Holtzman, nothing is ever truly forgotten. There is always a subconscious memory of childhood comforts. For this reason, something as simple as interrupting the comfort and joy of suckling can have deeply etched effects on the child. Effects that run into adulthood. The author introduces the idea of the mother from hell and the mother from heaven. The mother from heaven instinctively cares for her child. Her physical and emotional connection with her child is real and almost tangible. Even when she is chastising the child, he or she can still see the love and affection in her eyes. The mother from hell does not take the time to build this bond. They let their own demons color their interactions with their child. Over the years, behavioral disorders have been defined differently. It seems that every few years a different disorder becomes the it-thing. A look at the root and basis of all these disorders reveals that they are all as a result of parenting from hell. They are all a result of some form of deficiency in childhood. It all comes down to the experience in formative years. All the way from infancy, not just when the child learns how to speak. The author obviously has a good understanding of psychology and behaviorism. His understanding is obvious in the way he relays his message. He does not just regurgitate the information from textbooks but rather lays out his understanding in simpler terms. He does this in simple language. The prose flows freely. This is a subject requiring a strong voice. The author is unapologetic but not arrogant or offensive. This book has depth. It is not an overview. It is a breakdown of the subject matter. It is a contribution to a discussion. It is not a lecture. 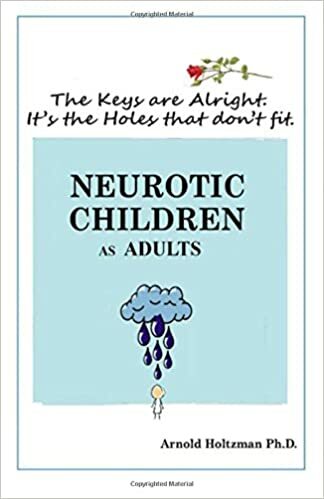 This book has several examples of adults with behavioral issues deeply rooted in developmental deficiency. His description of each one of these cases is vivid and revealing. These cases are relatable. More often than not, the reader will recognize his or herself in Janice or Cheryl. If one is already a mother they will recognize how their childhood played a part into making them into this kind of adult. Hopefully, that will help their own relationship with their child so that they will not grow into such an adult. Being a parent is often tinged with doubt. No one stops to tell a parent they are doing a good job. They only ever stop to make judgment when something looks wrong. This means that life as a parent is uncertain. One can never know if they are doing it right, they can only hope. This book is that much needed assurance and guidance. Children are the future. This book is one way of ensuring the adults of the future are emotionally and psychologically healthy. Five stars out of five for this book. It is incredibly helpful. It is not judgmental. It is apt and fitting. If there were more stars, Neurotic Children as Adults would be deserving. 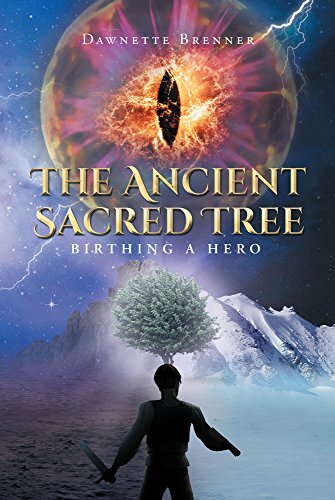 The Ancient Sacred Tree: Birth of a Hero follows a 12-year-old boy who finds himself thrust into a magical land full of danger. What was your inspiration for this thrilling novel? My inspiration for my story hit me after several episodes of depressive and manic scenarios with my son Joshua back in 2006. I felt helpless, as I watched my youngest child suffering from the throngs of what I learned to be bipolar disorder. He often would daydream and seem lost in his own world and although I researched to find answers, support and help, I couldn’t imagine this world he lived in, full of darkness. It was dreadful. Anyone with this disorder knows that it can cripple a family. I couldn’t fathom this life and so I created a world in which I wanted him to be the hero, one where he could over come any obstacle, to tell his story. Joshua struggles with being bipolar and his parents divorce. I felt that you handled both with care and realism. Why did you want to cover such sensitive topics in your novel? As a mother it was heart-wrenching and I learned so much, but still the world seemed to stigmatize the mental disorder my son suffered with and I wanted to change that for my son and others like him. As a teacher, I felt this story, in the hands of kids, could help them relate to a character like Joshua and they could empathize. Kids like Joshua would also enjoy reading that a character like them could overcome obstacles and become a hero, faltering along the way, but always striving to overcome. These are both important in our world with kids in schools, to help end the stigma and normalize these kids in not only their eyes, but others in school as well. The world Joshua entered is full of magic and wonder that is described superbly. What were some themes you wanted to capture when creating your world? I actually wanted to describe a fantastic world, full of intrigue and one in which I felt my son would enjoy, he seemed to love imaginary play outside with his action figures. So in the beginning that’s what I wrote, but as I progressed and the characters formed in my mind, and real life also took us on a journey through darkness, it was dreadful. Secondary to the imaginary world, it was essential Joshua Creed faces grave darkness, soul crippling darkness, although not as prevalent in this book, the series will encompass thematic elements of the darkness in anger and the peace at the end of the tunnel. Will this book be part of a series? Where will book two pick up and when will it be available? Yes! The book will be a series of three, possibly more books. I’m currently in the editing stage with book 2 and will come out this year, with book three later this year or early 2019. The book will pick up two years later, where Joshua continues struggling in school and learns a great deal more about the prophecy of his destiny. If you pick up a copy of the first book, there’s a preview of the first chapter at the end. Enjoy! Joshua Creed receives disturbing news about his parents, but before he is able to process it, he is flung into a world of intrigue and danger where he must fight for his life and the lives of the inhabitants. He discovers he has secret powers, and the mystery of his eye is revealed, but it isn’t easy being bipolar and only nine years of age. His newly found friends and family help him through his adventure but not before he’s forced to change schools. The action-packed, fun, and exciting adventures of Joshua begin in this first adventure of his destiny. Fire in the Heart, a novel by Lesley J. Mooney, traces the experiences of young Rianna as she copes with both unrequited love and a marriage that has swept her off her feet and into a new and sobering reality. When Lord Rowan McClaron introduces himself to Rianna and her friends, she has no way of knowing that her life in Scotland is about to change–and change for the worse. Her marriage to Rowan is plagued with secrets on both sides, and her seeming inability to produce an heir brings Rowan’s wrath upon her. 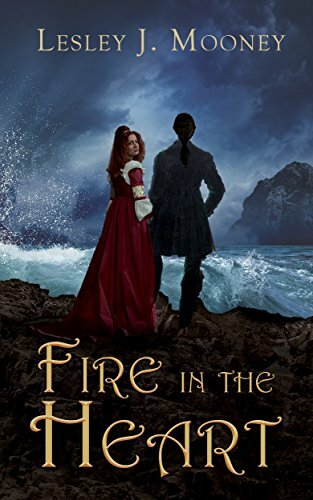 Fire in the Heart is a unique blend of romance and mystery. Mooney manages to keep the reader invested in Rianna’s plight by revisiting the strange and unsettling behavior of her husband, Rowan. Rianna, by all accounts, is an abused woman. What begins as a romance novel soon turns into a story of a woman trying to find ways to appease an increasingly abusive and disturbed husband. Mooney is more than effective at describing the heartbreak and the terror of her heroine. Mooney paints a bleak picture of Rowan McClaron. He is as realistic an abuser as I have seen in novels of this genre. From beginning to end, he is that vile character the reader will want to see either make a turn for the better or be offed. The author is quite adept at giving readers a villain worthy of loathing. Rianna’s desire to satisfy Rowan’s desire for a child is the primary focus of the storyline. I was, in fact, quite surprised that there was so little time spent describing Rianna’s pregnancy. Things move very quickly once Rianna finds out she is indeed carrying a child. I would have preferred the plot have been drawn out a little longer with regards to the long-awaited birth. The dialect is absolutely delightful. Accents are thick and take a couple rereads at the outset, but I thoroughly enjoyed reading even the richest comments and slang-laden comments. I admit I was thrown completely by the use of single quotes as a way of denoting dialogue. This took a bit of time to get used to and prompted me to do a quick bit of research. I wasn’t familiar with this particular style used by publishers in the UK. However, after a couple chapters, I found myself more concerned with the plot and less aware of the quotations themselves. One thing I found a little difficult to look past was the changing of tenses mid-paragraph. The change from past to present and back with no obvious explanation was hard to navigate at times. Though it doesn’t permeate the book, these small lapses in consistency made for some awkward reading. Mooney offers readers action, romance, and intrigue in one neat package. Rianna is a woman fighting battles with which many readers may identify. Her stubbornness and the fierce manner in which she protects her son make her a main character to remember. 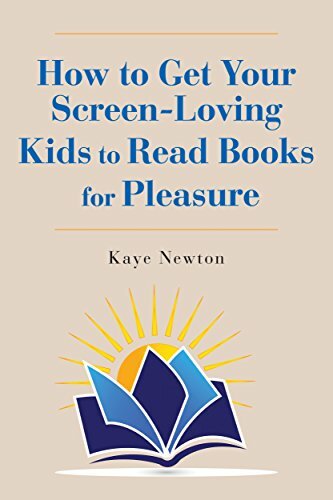 How to Get Your Screen-Loving Kids to Read Books for Pleasure, written by Kaye Newton, will help you teach your children to find the joy in reading. We live in a digital age, and the art of reading is slowly fading away. Netflix, social media and the internet have taken over the entertainment sector, leaving teenagers and children disinterested with the magic of reading. 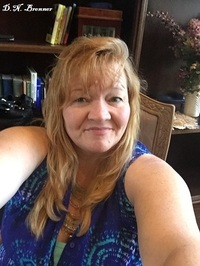 Armed with exciting and informative facts, Kaye Newton will help all parents and caregivers find practical and engaging ways to help encourage your adolescents to read. How to Get Your Screen-Loving Kids to Read Books for Pleasure is a valuable tool and learning resource for all parents who are trying to get their teens to read. With online distractions and the quick fix that screen time provides, this generation of children is sadly missing out on the benefits which reading a book provides. The benefits of reading are far and wide and include how reading improves our concentration, memory, analytical skills and even help teens prepare for the workforce. And if you believe your child is just simply not a “born reader”, Newton also takes a look at how we all have the potential to read, and humans are innately drawn to storytelling and adventure. Sometimes it comes down to simply finding the right book for the right child. How to Get Your Screen-Loving Kids to Read Books for Pleasure will also push you to question your own beliefs and interests in reading. One line that resonated with me was “I liked reading until I was forced to overthink every sentence”. As a child, we often read books to discover new worlds, uncover magical creatures and learn different cultures, but this changes when we become adolescents. At school we are often expected to look at the grammar and the concept of the story and then write hundreds and sometimes thousands of words about a plot line we may have not even enjoyed. Kaye Newton addresses this issue with some alarming statistics about how little we now read and the detrimental effects it can have when we take reading out of our lives. Not only will How to Get Your Screen-Loving Kids to Read Books for Pleasure give you extensive and useful tools to help with supporting your teen to read, but the novel also provides lists of books that will suit your child and match their interests. For example, many parents often use the excuse that their child does not read due to being obsessed with video games. But there are books for even the most avid of gamers, and Newton will provide you with several examples to get you started. There is also a fantastic list of books ready for you to try that are sorted by ages and genres. One segment of How to Get Your Screen-Loving Kids to Read Books for Pleasure also answers questions that parents may have, such as do graphic novels count as reading or what is considered “real reading”? These questions will help parents find out what type of reading will suit their teen and how reading can be found in places we least expect. I would recommend this to anyone who is looking to encourage the children in their lives to discover the magic of reading! I was struck by the depiction of Fraser’s first moments in Heaven. His surroundings are described in vivid details. What was your inspiration for this scene and how it would look? Initially I was extremely intimidated to describe heaven and all it offers overall. Ultimately, I received inspiration and confidence from God Himself to move forward. Inwardly, I heard words like peace, serenity, stillness, comfort and calming. Thereafter, it became near effortless to describe the scene. The dark angels in the novel seem to the opposite of what the angels in the book represent. What were some themes you wanted to capture when writing about both of the angels? The intentions of presenting both sets of angles was to show morals from one extreme to the next. The true definition of all that’s wholesomely good to its total opposite in the dark angels representing pure and unfathomable evil. Behind what the human eye can see are both influences and everyone makes decisions daily which side they will allow to persuade them. 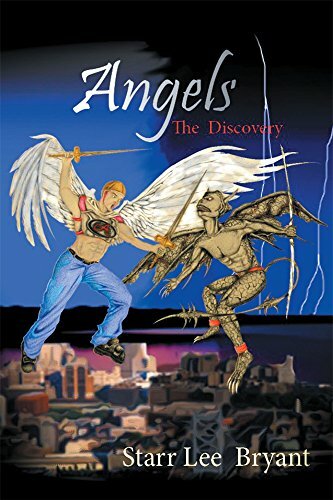 I am currently writing the sequel to Angels – The Discovery which is part 1 in a series. Book number two is entitled Angles – Fight For The Future. It will depict ultimate battles, good vs. evil and they are fighting for rule over our children. Fourteen-year-old Fraser dies prematurely as a result of a fluke accident while trying to save his baby sister. Upon waking up in heaven, he discovers that his new life in paradise is far different from the one he lived during his short time on earth. As he adjusts to his new surroundings, he is constantly amazed that there is so much to learn, explore, and achieve in his new permanent home. Fraser begins making new friends and even reunites with a loved one who left earth before him. He learns that everyone in heaven must find something they are passionate about and serve in that area. While his friends quickly discover what they want to do, Fraser is left discouraged and not strongly drawn to anything he is introduced to. When Fraser begins to experience visions of his family’s current status on earth, he finds them divided, severely broken, and completely devastated about his death. His family is also unaware that they are being tormented and are in danger by evil presences that they cannot physically see. After having a talk with God, Fraser is told that he is chosen for a special assignment and will be enlisted amongst an army of Armored Angels to fight an earthly spiritual war of good versus evil. He finally knows what he is meant to do and is more than ready. He is predestined to save his family. This is a story that will inspire young readers and beyond to diminish the fear of dying, provide hope concerning life afterward, and understand that God has assigned angels all around us for protection from dangers seen and unseen. The Dragon Grammar Book succinctly covers everything from subject and verb agreement to dangling participles and misplaced modifiers in a fun and engaging way. What was your goal when you began this book? My goal was to create an easy-to-understand and fun grammar book for a wider audience, from middle grades to adults, that would encourage the reader to want to read and learn grammar. As a writer, editor, and publisher, I often come across the same grammar mistakes made by adults, so I wanted the book to be a refresher guide for adults while being a learning guide for children. What do you find people struggle with the most when learning the English language? The English language is a complicated language to learn and even confuses seasoned writers on occasions. The thing I see most people struggle with is the proper use of homonyms, like your vs. you’re; and other confusing words, like when to use affect vs. effect. Second to that, punctuation seem to present a lot of problems. What I liked most about this book was how it distilled ideas down to simple bits of information. What was the hardest part about writing this book so it’s understood by kids and adults? Most books aren’t written for such a wide audience, so the challenge was in finding that middle ground where the writing would engage the entire group of readers. Personally, I appreciate simple explanations that don’t over explain, which led me to the idea that other adults might too. Do you plan to create more educational novels like this featuring characters from your fantasy series? Yes, I have a few ideas brewing, but the idea that keeps coming up front and center is to write my characters into a book about short-story writing. I’d like this book, too, to be for middle grades through adults. The characters are presently voting on the project, so we’ll see where that leads us. Finally! An easy-to-understand grammar book with fun grammar lessons. 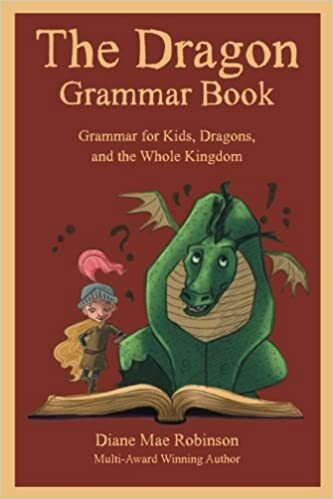 The Dragon Grammar Book is the ideal grammar book for kids, dragons, and adults alike. 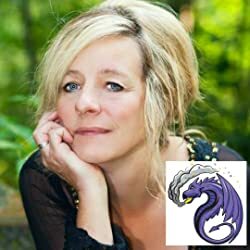 From multi-award winning children’s fantasy author, Diane Mae Robinson, The Dragon Grammar Book introduces middle grades through adults to the basic rules of the English language with easy grammar lessons. Featuring the zany fantasy characters in the author’s The Pen Pieyu Adventures series, The Dragon Grammar Book is sure to be enjoyed by the whole kingdom.